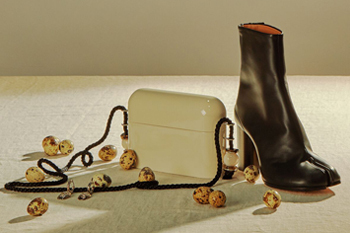 As designer’s Burberry, Alexa Chung and Rejina Pyo shine on London’s catwalk this week, photographer Otto Masters puts our eggs in the spotlight in New York’s ONE Magazine. In the 16th edition of ONE Magazine – a biannual womenswear publication exposing talented fashion photographers and designers – fashion and portrait photographer Otto Masters is inspired by traditional Japanese methods of carrying eggs in his feature ‘The Art of Carrying Eggs’. 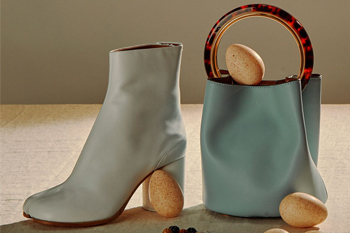 Exquisitely styled by Hollie Clark, Cornish Blue duck eggs and Old Cotswold Legbars elegantly fill a Prada bag, textured turkey eggs are positioned with a Maison boot, glossy Burford Browns sit in a Proenza Schouler shoe, while an ostrich egg swings in a Jazquemus bag inspired by woven bamboo. 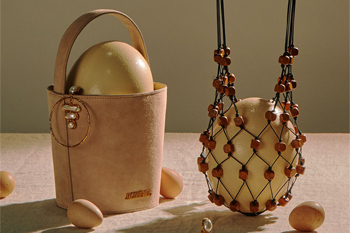 Guinea fowl and goose eggs also feature with designer accessories. 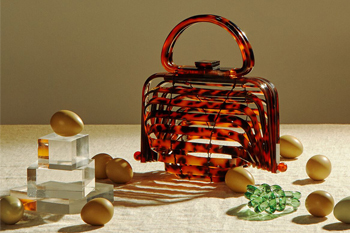 Take a glimpse at our eggs as shine in the fashion world here.